I’ve been working on cobbling together Eric Penner‘s Pre-Integrated Skin Shading to Unity3D for a while. I’ve been adjusting it a little to fit in with Unity3D and generally tweak it to my liking. It’s probably strayed a fair bit from being optimised or realistic but here’s the code for it and some sample shots. Download the BRDF Lookup texture it wants here. I generated it via Jon Moore,‘s code, which he wrote after trying the same shader technique. You can find the code here. Set the Wrap Mode to Clamp inside of Unity. If you’re using linear lighting, it’s important you set this to “Bypass sRGB Sampling” within Unity (set Texture Type to Advanced to expose the option) otherwise it’ll appear to be lit differently to other materials. 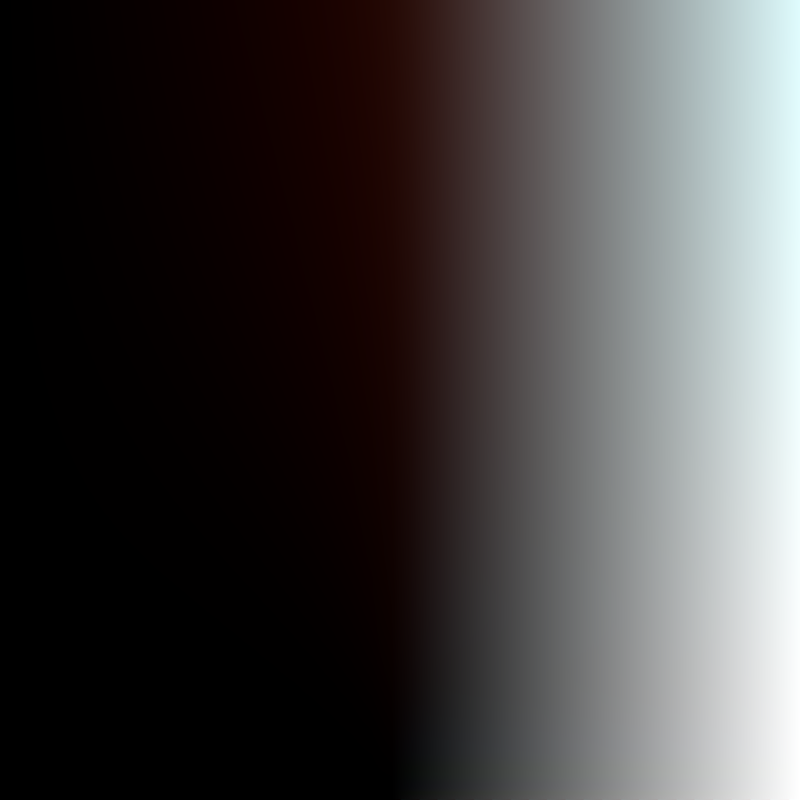 // BRDF Lookup texture, light direction on x and curvature on y. // Curvature scale. Multiplier for the curvature - best to keep this very low - between 0.02 and 0.002. // Controller for fresnel specular mask. For skin, 0.028 if in linear mode, 0.2 for gamma mode. // Which mip-map to use when calculating curvature. Best to keep this between 1 and 2. // Bit complex for non-desktop. // Required for tex2Dlod function. // Calculate the curvature of the model dynamically. // Get a mip of the normal map to ignore any small details for regular shading. // Transform it back into a world normal so we can get good derivatives from it. // Get the scale of the derivatives of the blurred world normal and the world position. // From these it's possible to work out the rate of change of the surface normal; or it's curvature. // In DX11, ddx_fine should give nicer results. // Otherwise stick with ddx or dFdx, which can be replaced with fwidth. 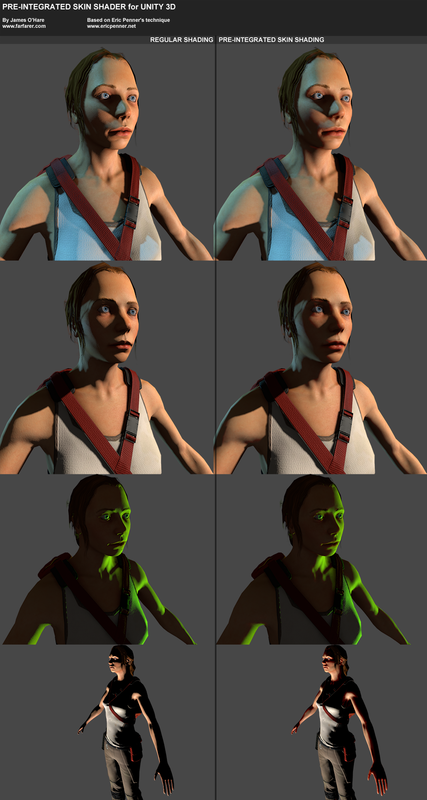 // Half-lambert lighting value based on blurred normals. //Curvature amount. Multiplied by light's luminosity so brighter light = more scattering. float m = atten; // Multiplier for spec and brdf. // as it won't get killed off by shadow value. // Same for the specular highlights. c.a = s.Curvature; // Output the curvature to the frame alpha, just as a debug.